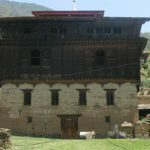 The ramification of Bhutan’s transition into a developing nation pervades to the very root of its social fiber. 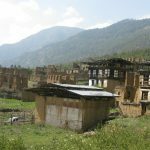 Increasing cases of Gungtong or unoccupied houses are reported from almost all villages. It is a pressing social issue, for which there is no specific solution. While everyone acknowledges Gungtong as a social issue, no serious study has been done so far. Therefore, the National Land Commission Secretariat is mapping Gungtongs in the country to carry out multi dimensional analysis of prevalence and cause factors. This will perhaps be the main baseline data for any subsequent studies and policy interventions. This important exercise is supported by the International Centre for Integrated Mountain Development (ICIMOD). The field survey is being carried out by five graduate interns. The field survey has been completed in four districts. 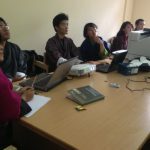 This exercise is being coordinated by Mr. Yeshi Dorji, Chief Survey Engineer.